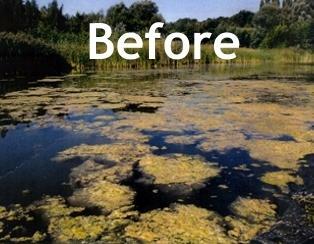 We treat Golf courses, communities, residential and commercial ponds, for algae, sludge reduction and E-Coli. Our products are 100% SAFE for ALL PETS and CHILDREN. Campgrounds with swimming ponds, a must with OES products. Swim safe! Organic Earth Solutions LLC is servicing the Myrtle Beach area. New Jersey, New York and Pennsylvania are still being serviced. 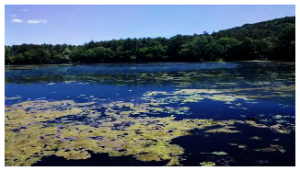 Algae are primitive, primarily aquatic, one-celled or multi-cellular plant-like organisms that lack true stems, roots, and leaves but usually contain chlorophyll. There are both marine and freshwater algae, and algae are found almost everywhere on earth. In total, there are eight main groups of algae: blue-green algae (also known as cyanobacteria), diatoms, chlorophyta (or green algae), euglenophyta, dinoflagellate, chrysophyta (commonly called golden algae), phaeophyta (often known as brown algae), and rhodophyta (or red algae). Among these, alga also comes in two forms: planktonic and filamentous (or string). 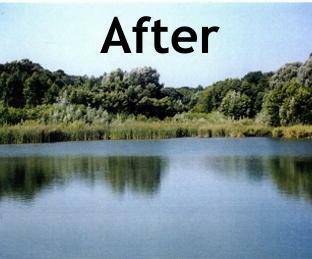 Myrtle Beach lake management by OES can resolve all your algae, sludge, and E-Coli problems.